I am excited to announce that Roundabout Yarn Etsy Shop is now open for business! Yaaaayy! Please check out the shop at https://www.etsy.com/shop/Roundaboutyarn . Feedback and thoughts are appreciated! I will end this short post with a photo of a scarf that was the inspiration for one of my favorite color ways, which has not been named yet. Any thoughts?? At the beginning of a new venture, an inordinate amount of time is spent in creating the product and gathering needed information for the website such as photos, pricing, yarn information, shop policies, shipping information, etc., etc., etc. . During the first few weeks of November, I was a dyeing fiend, with every spare minute spent creating lovely colors in the dyepot. There are quite a number of dyed skeins waiting to go to new homes. As much as I would like to, I can’t keep them! So this weekend will be spent working on uploading photos and spreading the word about Roundabout Yarn! Please take a moment to take the Poll on the previous post. And sign up for the mailing list. I promise not to bombard you with emails and the list will never be sold. So here are a few photos. Click on the photos to enlarge for color detail. These colors are accurate on my computer screen. Please checking back for more photos and an announcement when the ETSY shop is open! Greetings! We are happy to be back, posting to the blog. Some time has passed since the last news from our farm. During that time, social media sites have grown; it seems everyone has a Twitter or Instagram account. We would like to know what sites our blog readers like to visit. Please take a minute to respond to an informal poll. Thank you in advance! The farm is still here and the sheep as well. The flock, however, was sold to a fellow shepherdess, Heidi, who has Gotland crosses, Finnsheep, Shetland and Icelandic crosses. Her goal is to breed up the percentage Gotland and breed Finns. The sheep and their llama guardian, Princess, lived on the farm this summer because we have good pasture space. The flock is now at Heidi’s for the winter. 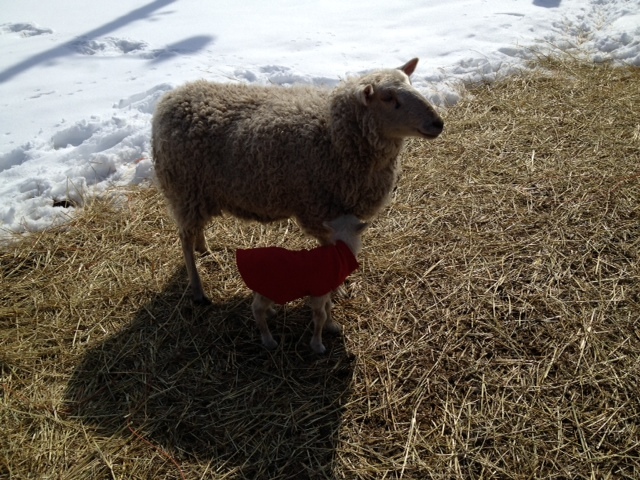 I will post more about Heidi and her flock in the future as we are working together to further our woolly goals! Now that we no longer have sheep, I took a leap into another area that I love, which is color. I have begun hand painting skeins of yarn! Painting combines two of my favorite things — “watercolors” and yarn. 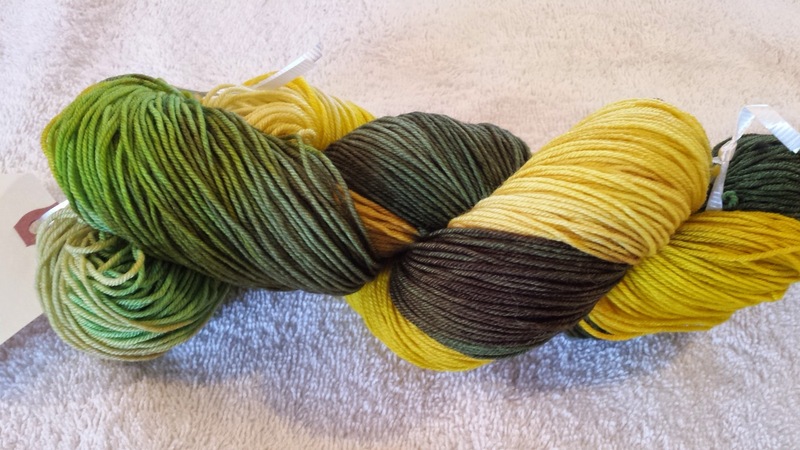 Over the next few weeks, I plan on updating the website with more information and photos of available skeins. 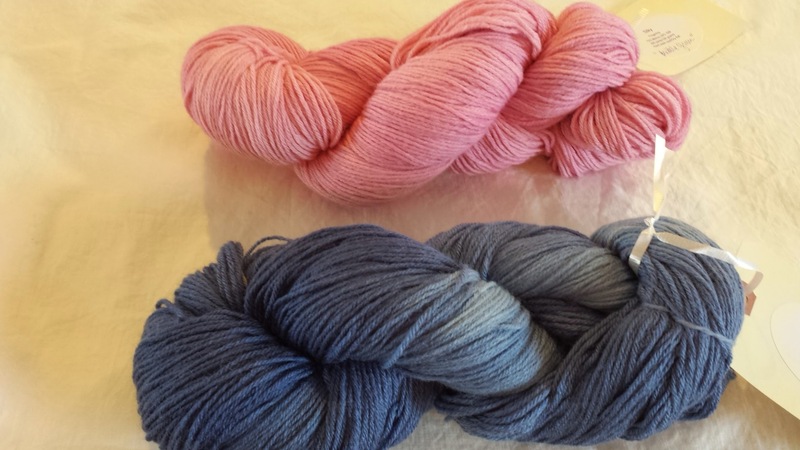 A few days ago, Roundabout Acres debuted Roundabout Yarn at a craft fair in Stillwater, Minnesota. My goal was to get feedback. I was hoping to sell two or three skeins to pay for the table and gas. 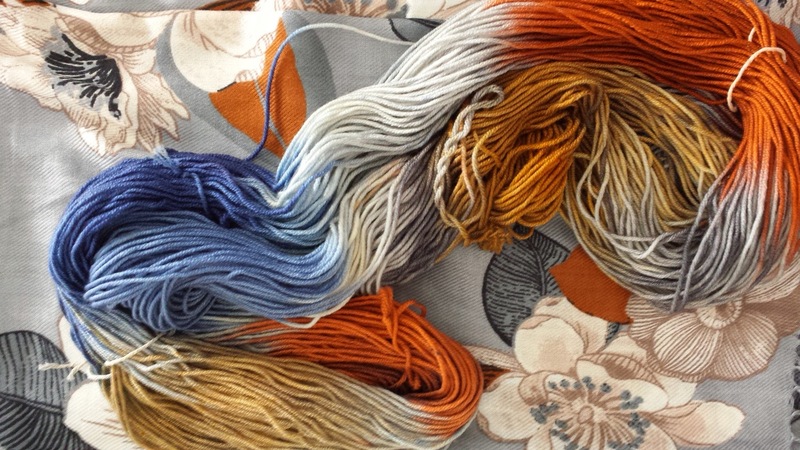 Happily, the feedback on the colors and yarn bases was fantastic! 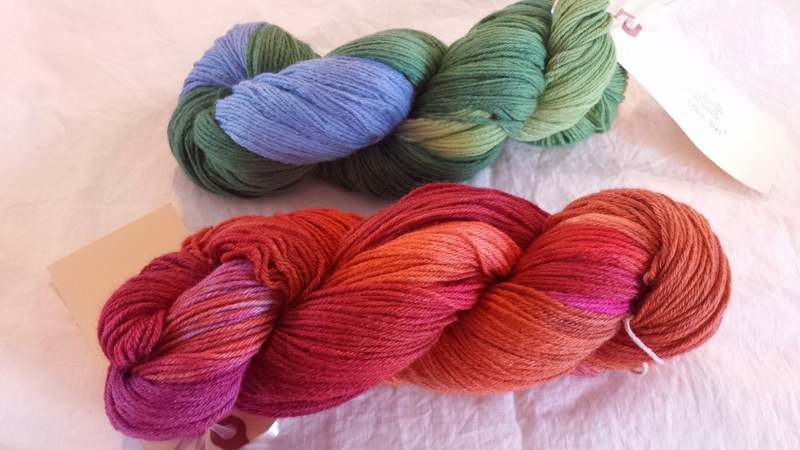 The current yarn bases are super wash or super soft bases that I can wear against my skin. I will post more information in the next few weeks. Please complete the CONTACT FORM to be placed on the mailing list. At the beginning of each month, one lucky mailing list member will win a $15 shop credit! Sign up now for a good chance to win! Winners will be contacted by email. 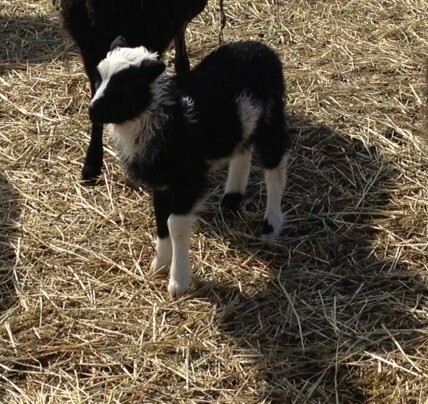 For Sale: A Spinner’s Flock of Finnsheep, Shetland, and Bluefaced Leicester and Border Leicester X sheep – ewes, rams, lambs in black white, brown, gray, solid or spotted. We have had a good run with the sheep but it is time to disburse the flock due to the desire to spend more “adventure” time away from the farm. Our loss is your gain! Perfect for a small farm or fiber flock, they are priced to go to new homes. 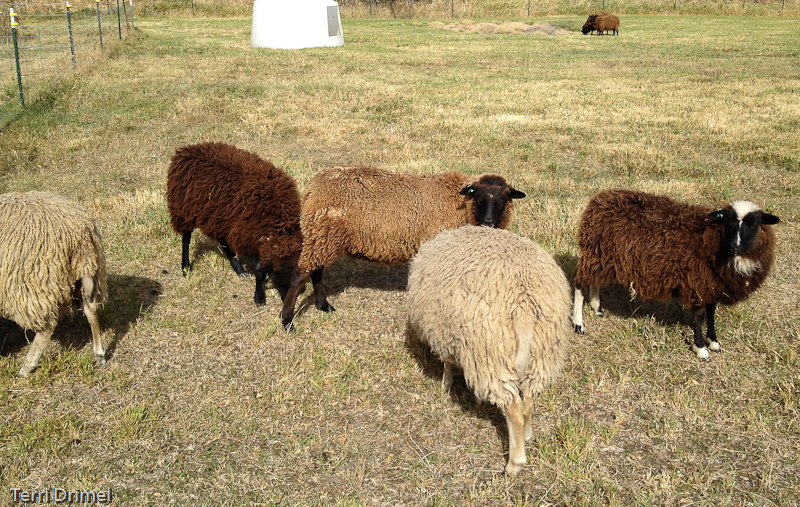 We are also taking reservation for grass-fed freezer lamb to be ready in October/November. We have a registered Finnsheep ram Knuut for sale for $250 plus FBA transfer fee. He is gray with mild spotting, carries brown. Pedigree information will be uploaded with his photo. He is a mild-mannered ram, soft, crimpy fleece. He has thrown more brown than black this year! His lambs are white, black, brown, piebald and HST spotting. 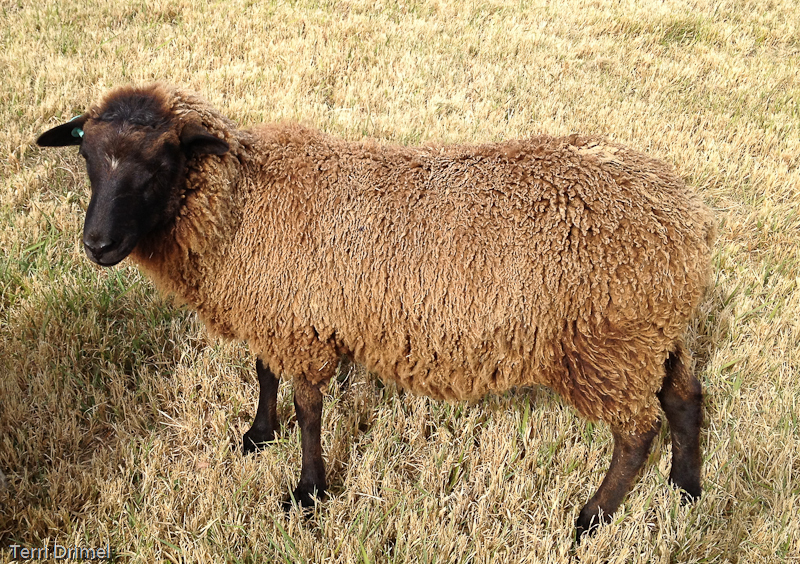 Finnsheep/Shetland yearling ram William, brown with mild spotting $200. He is a gentle boy with fabulous, crimpy, golden-brown fleece with a wonderful handle. He sired Shetland Phyllis’ twin lambs this year. 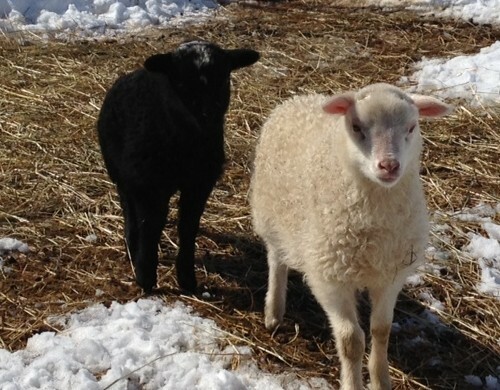 We are offering a Starter Flock of two unrelated Finn X or BL X ewes lambs and a ram lamb for $425. This is a photo of our dismal April. 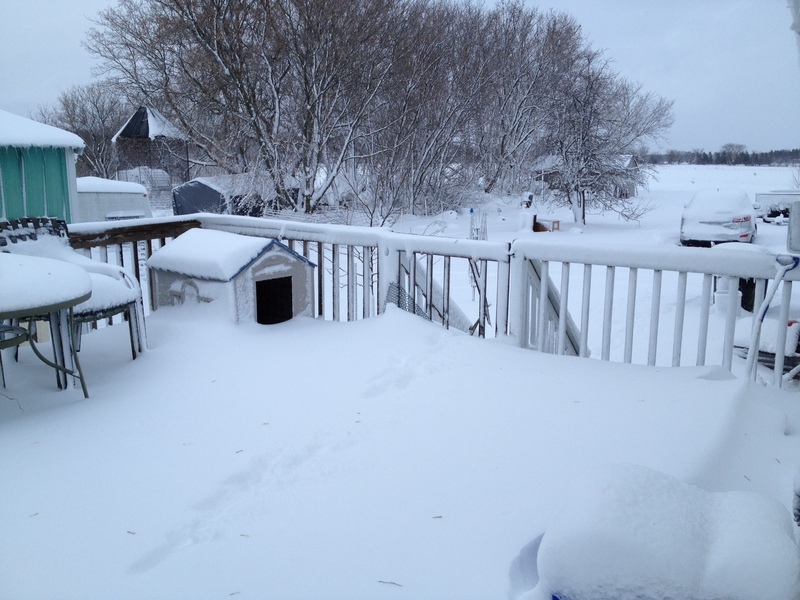 We have received more snow this April than the previous 10 April’s combined. We have had continuous snow, ice or mud on the ground with very few dry days. The temperature has been mostly in the 30’s-40’s with freezing temps at night. It is depressing and the fields are behind on greening up. For fiber folks that have asked when I will get to skirting the spring shearing? Sorry, but it will be awhile. I do not jacket my sheep so the spring fleeces have VM. We still have some lovely fall 2012 fleeces available on the Fleece page. 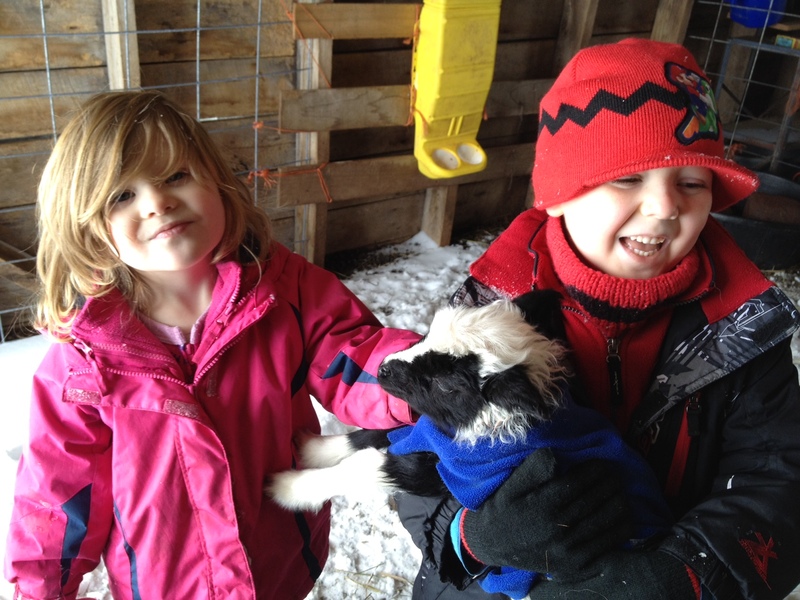 LAMBING UPDATE – We are in full swing of lambing on the farm. I will get photos loaded for the next post. ALL LAMBS THIS YEAR WILL BE FOR SALE! Recently, I spent a few days with my daughter Amanda, and her wonderful husband, Kisu. They bought their first house in the Washington, DC area this past summer. We spent time trimming trees, eating at great restaurants, and getting ready for Hurricane Sandy. Daughter and son-in-law had no problems with the storm other than wind and rain. While I was there, Amanda shared her enthusiasm about her participation in the upcoming National Novel Writing Month. She and a few of her friends would be taking the novel writing challenge in November. Additionally, Amanda’s class of gifted and talented fifth graders were given the option to write … and most of them decided to accept the NaNoWriMo challenge! Then Amanda’s long-time friend Mark (who we consider our second son) also convinced me to jump in. So, I signed up for NaNoWriMo and started writing! The goal is to write a 50,000 word novel in 30 days. Amanda and Mark assured me that nobody expects the novel to be good. Participants are supposed to put their internal editor away and just write. Once the initial draft is written, the internal editor is released from lock-up and put to work. 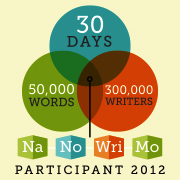 The NaNoWriMo website is set up to be very positive and encouraging with goals, support groups, ideas and suggestions. It also has a way to upload the progress of words written so one can keep track. “Winners” are the participants who complete the 50,000 word challenge by the end of November. I got a good start on my novel, but have screeched to a halt the last few days due to a busy work schedule and a job change. I have placed the NaNo badge on the blog to encourage you to cheer me on!